As long as they have their badge and the loud speaker, cops can totally be casual in the hat department! 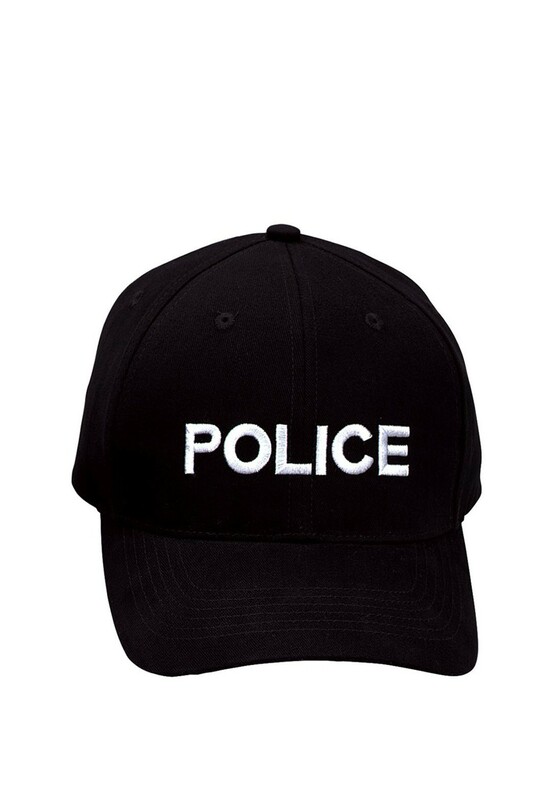 With this Adult Police Baseball Cap, you don't have to wear those stuffy hats with a badge on them any longer! Besides, who would want to wear those old, boring hats, when you could wear this hip, casual cap? Just flip it on and you're ready to make bad guys respect your authority! This cap has “Police” embroidered on the front of it, with a size adjustment strip on the back. You can wear it as a laid back, casual cop look, or as part of a more formal police officer costume. However, if a police officer drives by you, while you are wearing this hat, you may get pulled over to point him in the direction of where he can get one to match!